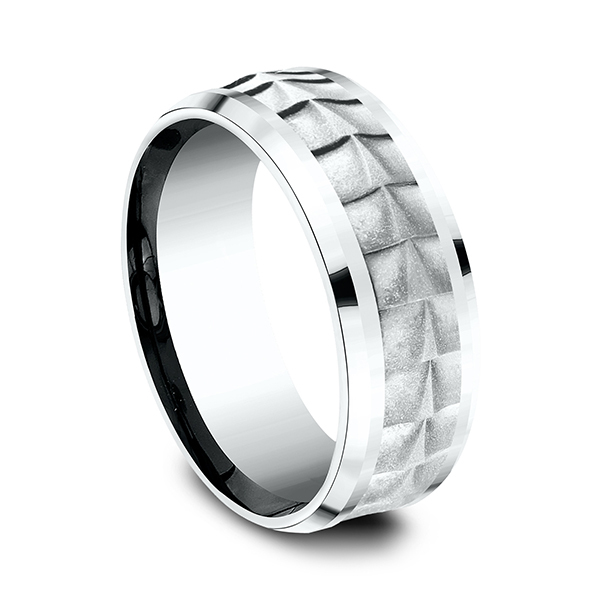 The unique raised pattern on this 8mm Comfort-Fit 14 karat White gold design ring creates a distinctive crocodile skin effect. 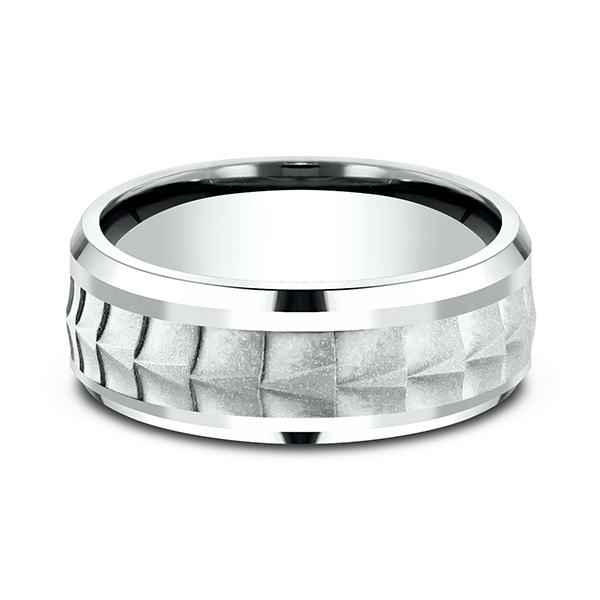 Ammara Stone wedding bands are contemporary wedding rings fusing traditional precious metals with exciting new alternative metals like Black Titanium and Tantalum. Responsibly made in the USA, you can feel good about choosing one of our Ammara Stone wedding bands as a symbol of your commitment.